The third generation of IBM's Watson platform will be able to actively reason. Several years ago, IBM's Watson supercomputer gained fame after beating some of the world's top Jeopardy! players. To accomplish that feat, researchers fed thousands of points of information into Watson's database, allowing it to retrieve information presented through natural language. While winning Jeopardy! might be an exciting challenge for researchers, Watson's next goal could revolutionize oncology. IBM is currently working on the third-generation of the Watson platform, which has the power to debate and reason, according to IBM CEO Ginni Rometty. As of now, Watson has assimilated over 600,000 unique types of medical evidence. In addition, Watson's database includes two million pages sourced from a variety of different medical journals. To improve the link between symptoms and a diagnosis, Watson also has the ability to search through 1.5 million patient records to learn from previous diagnoses. This amount of information is more than any human physician can learn in a lifetime. According to Samuel Nessbaum of Wellpoint, Watson's diagnostic accuracy rate for lung cancer is 90%. In comparison, the average diagnostic accuracy rate for lung cancer for human physicians is only 50%. 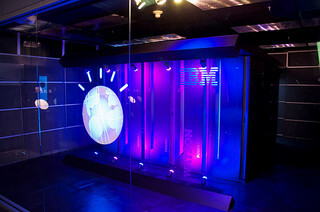 "What Watson is going to enable us to do is take that wisdom and put it in a way that people who don't have that much experience in any individual disease can have a wise counselor at their side at all times and use the intelligence and wisdom of the most experienced people to help guide decisions," notes Dr. Larry Norton, a researcher at Sloan-Kettering.